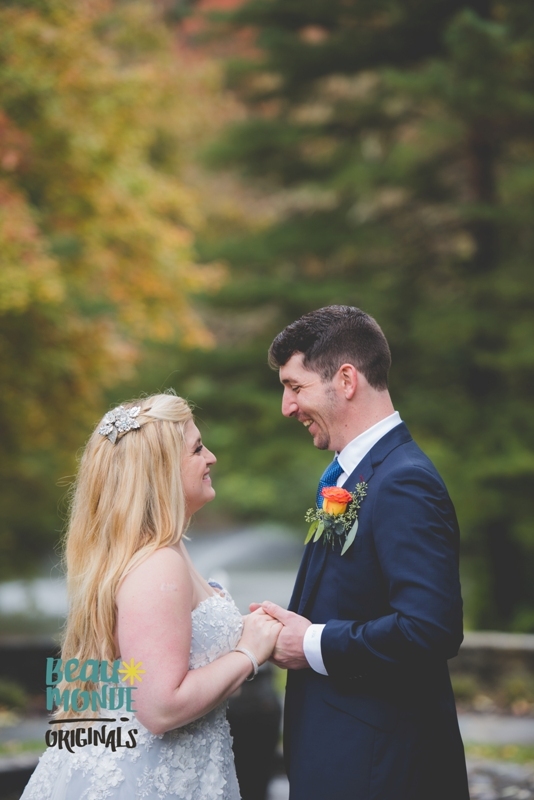 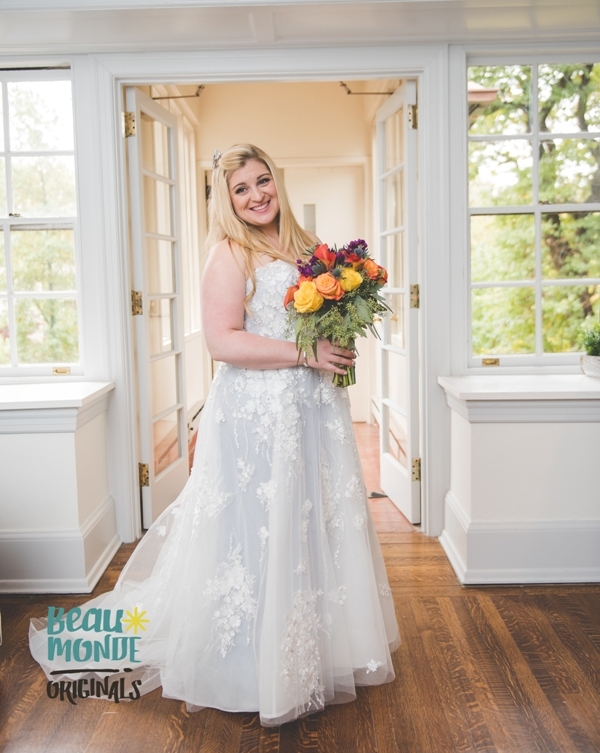 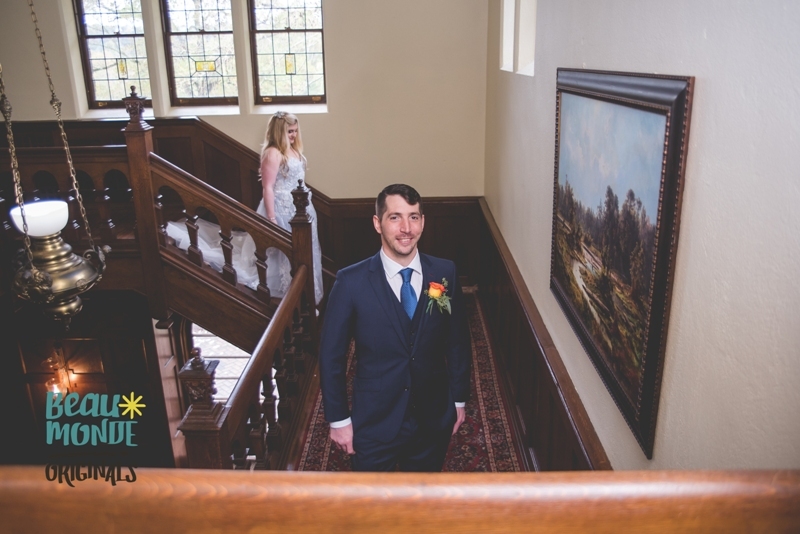 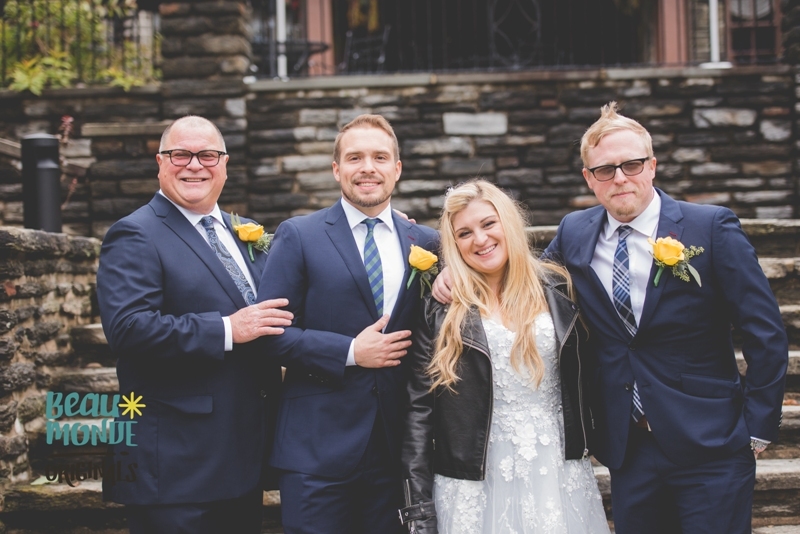 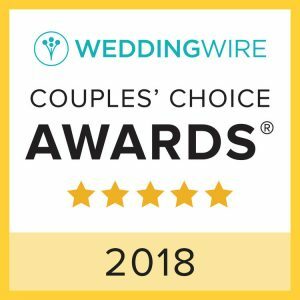 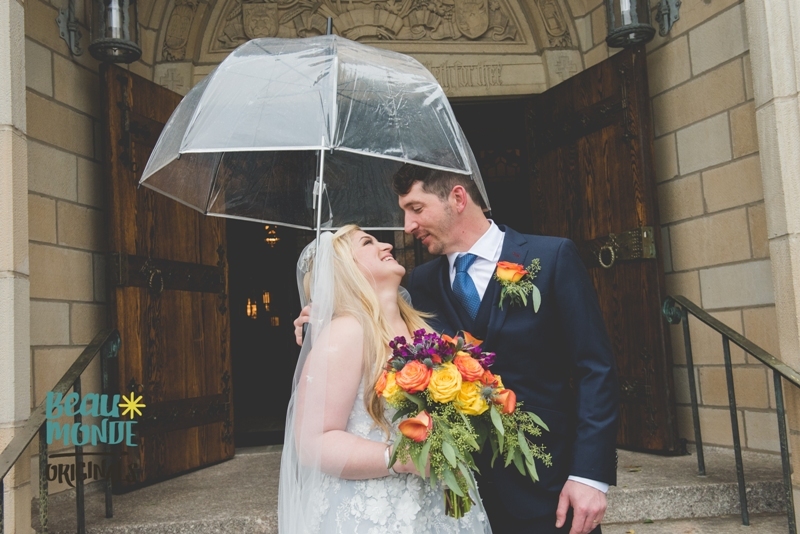 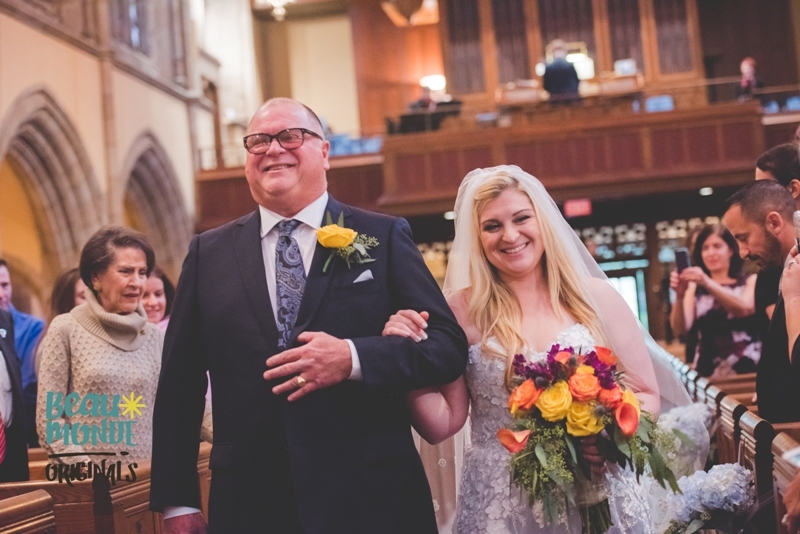 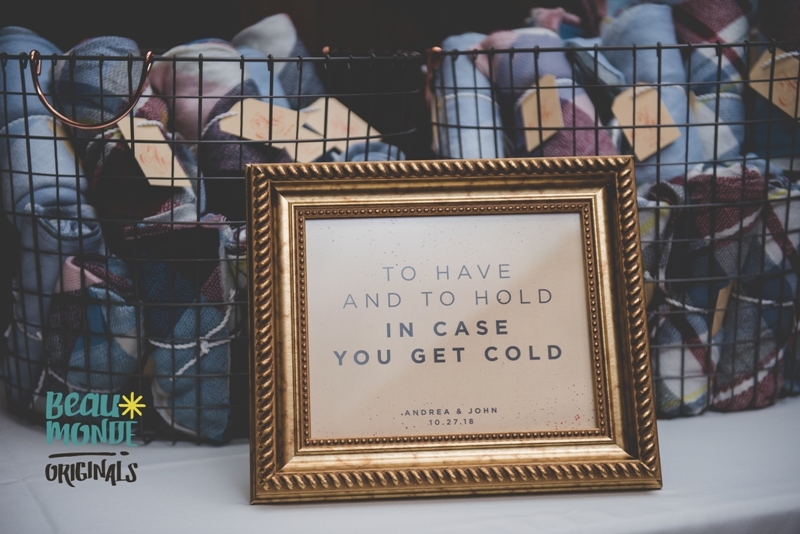 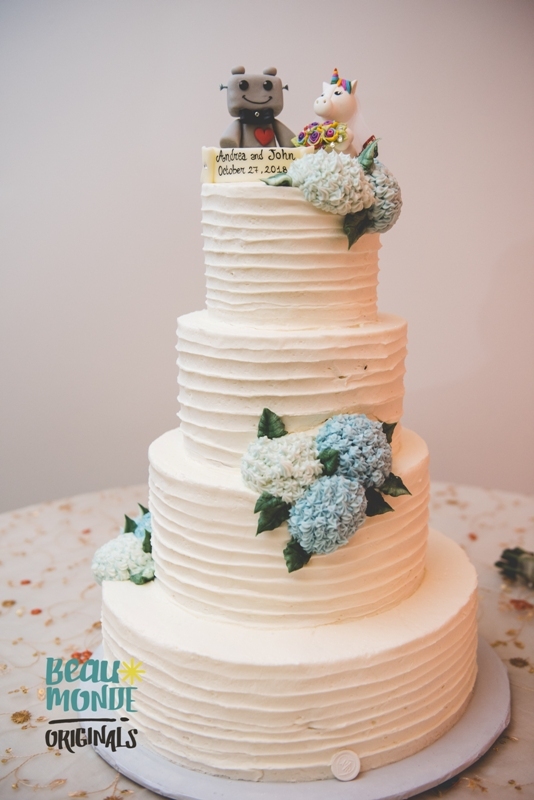 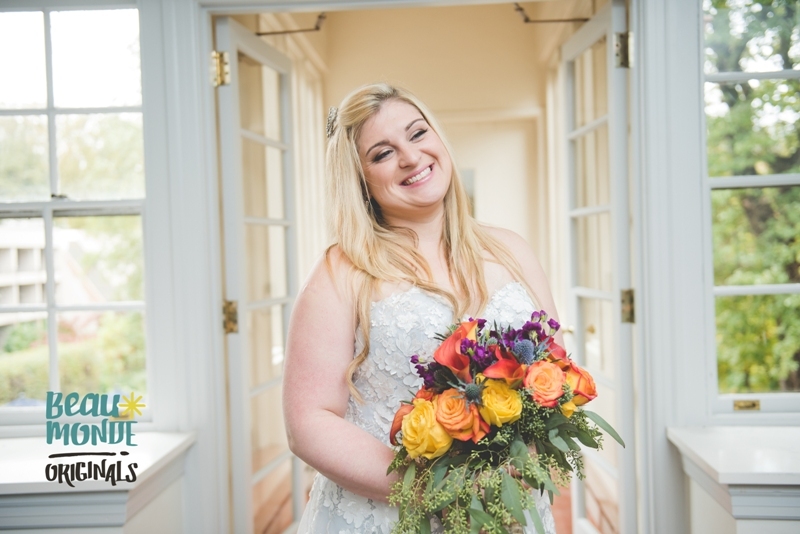 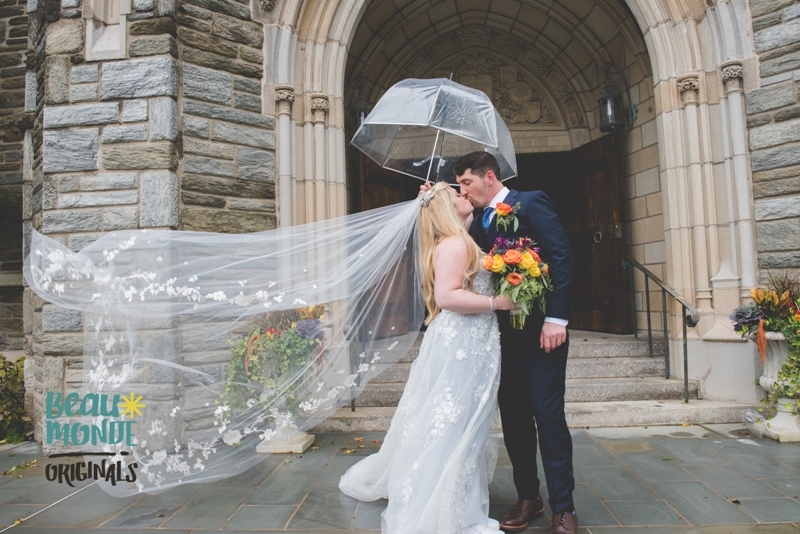 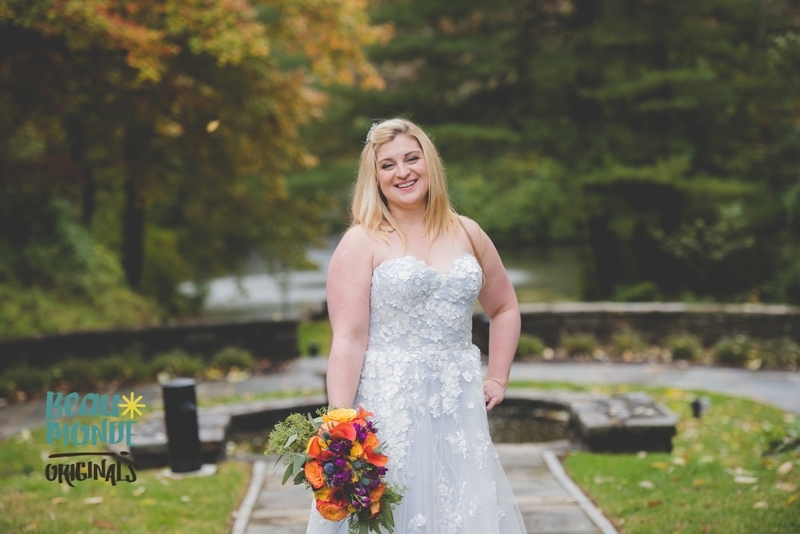 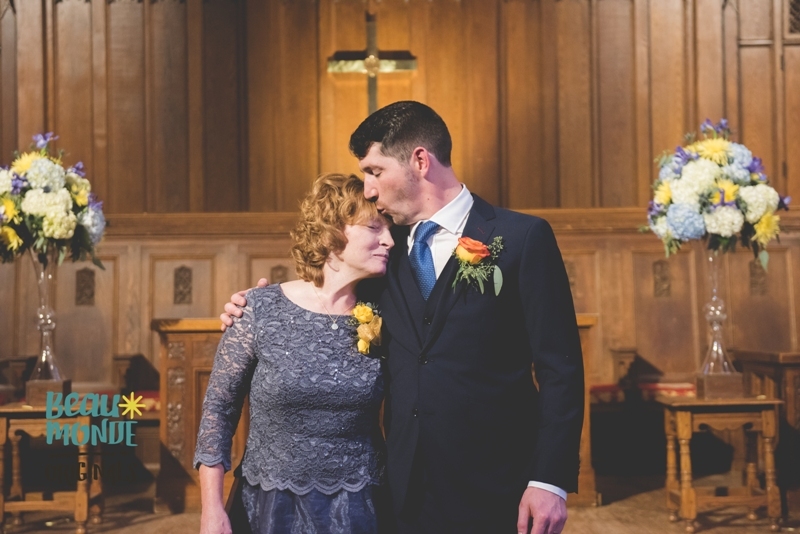 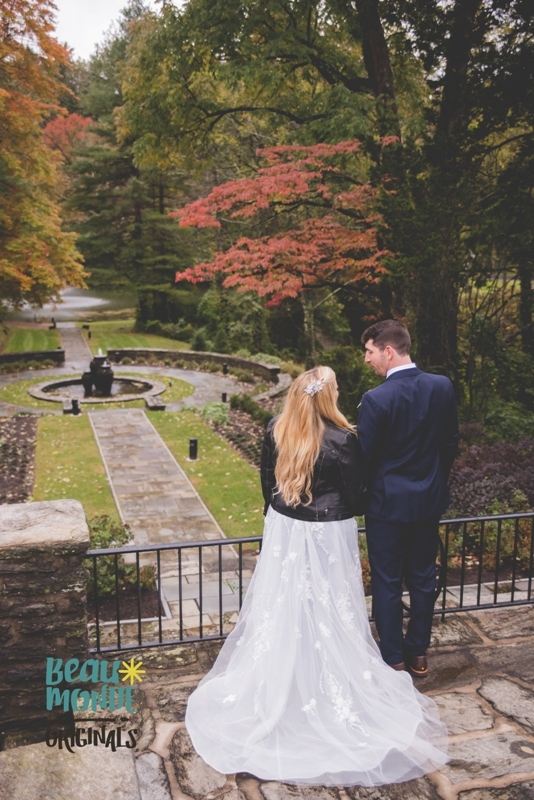 Andrea and John were married on October 27th, 2018 at the Bryn Mawr Presbyterian Church in Pennsylvania. 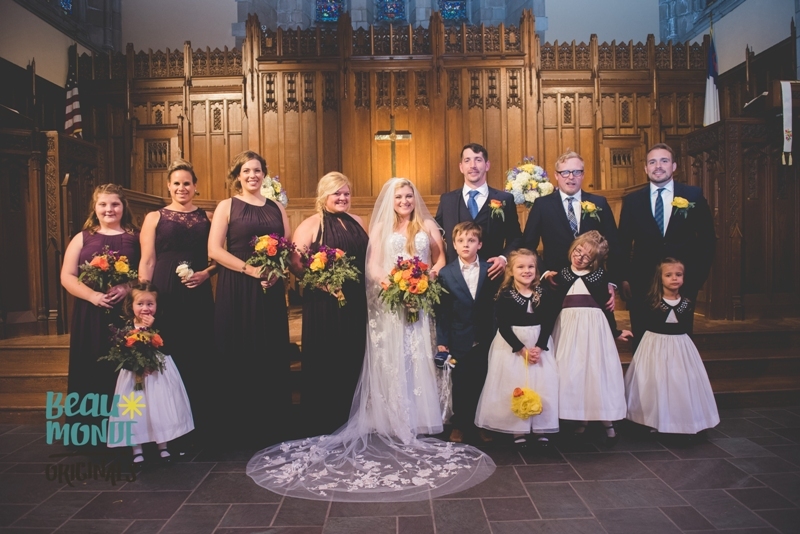 The church already had a natural beauty so we only added a few floral arrangements. 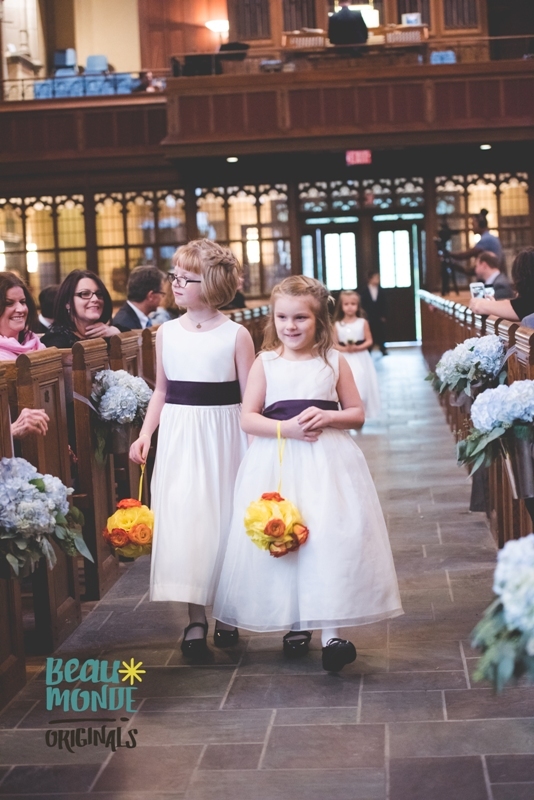 We added a couple of light blue hydrangea arrangements to some of the aisles in the church. 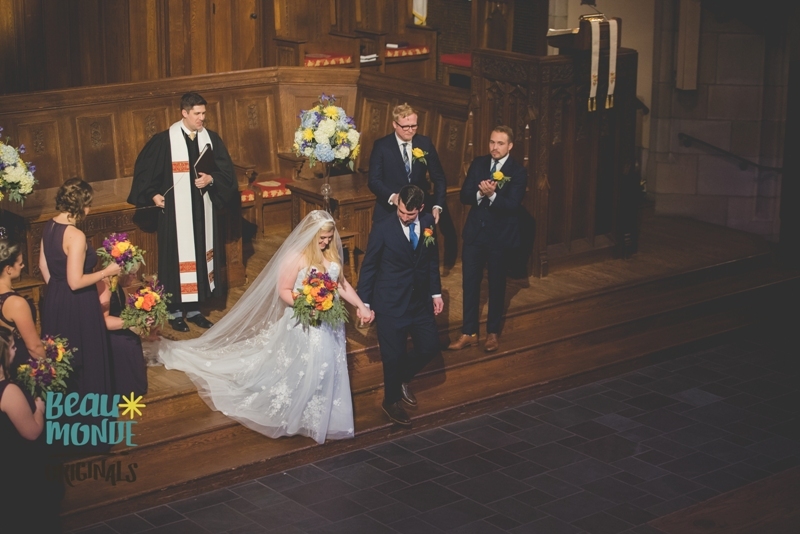 We also provided two tall, arrangements at the front of the alter that matched the bridal bouquets perfectly. 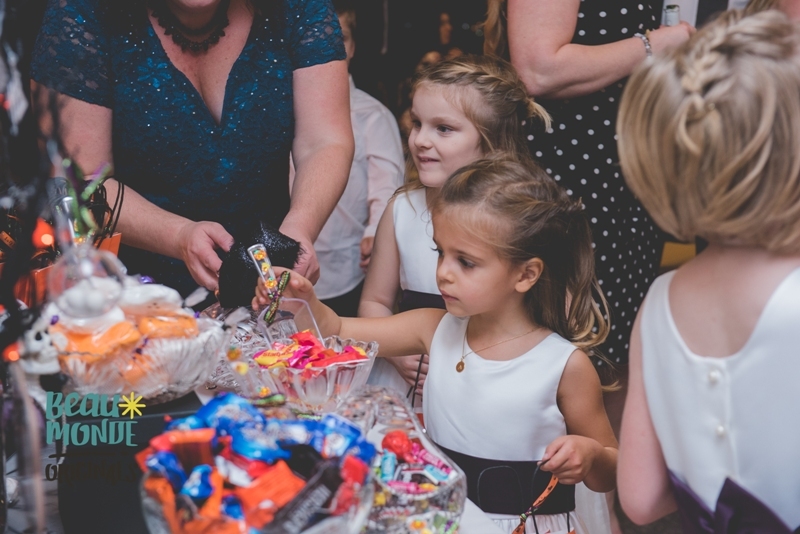 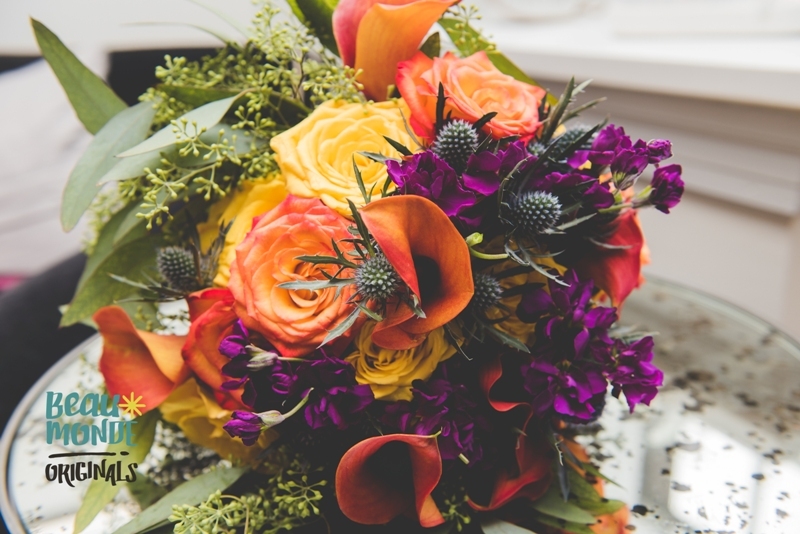 We especially loved the opportunity to create the bride’s and bridal parties bouquets. 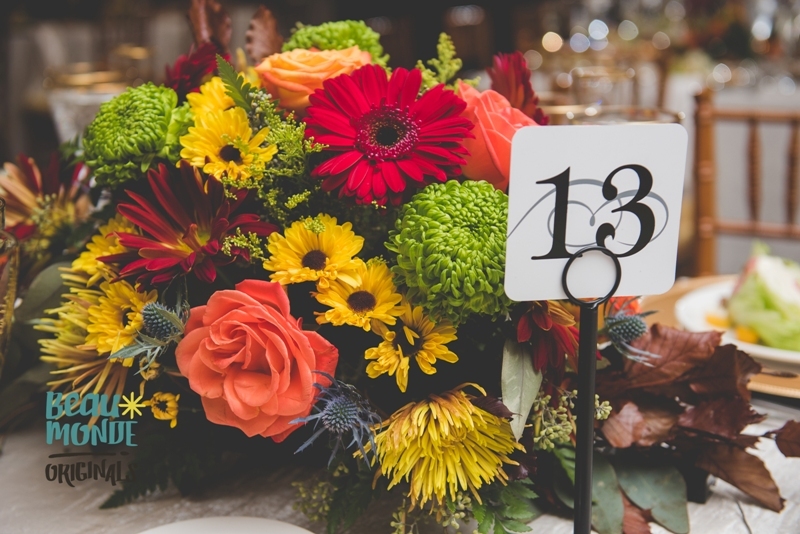 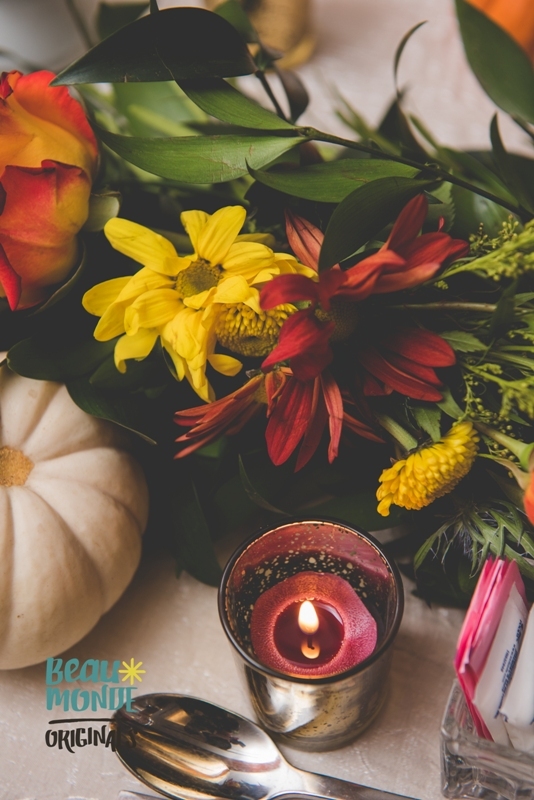 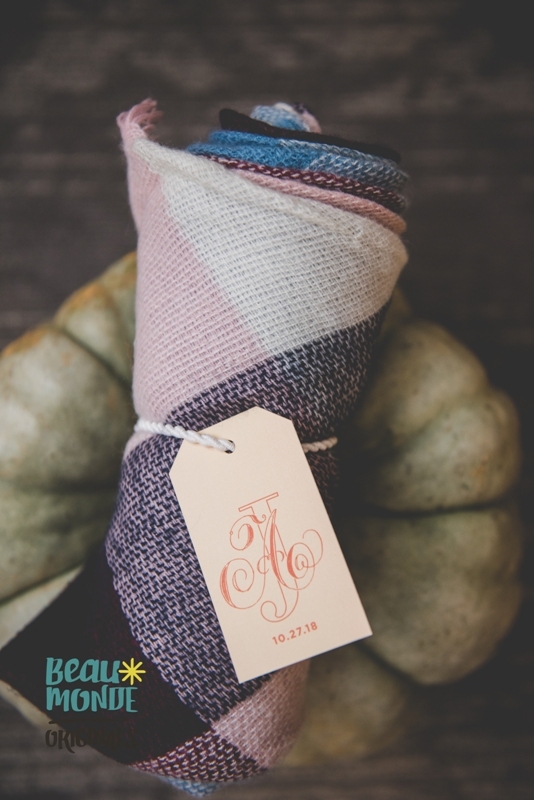 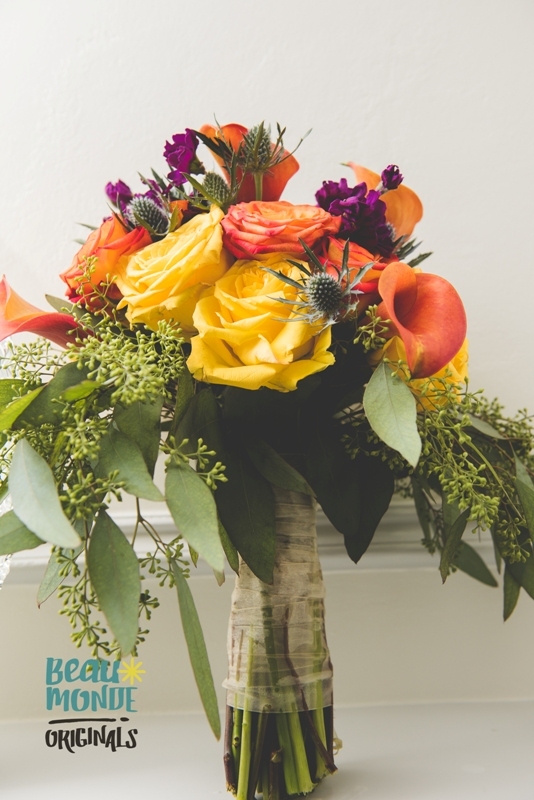 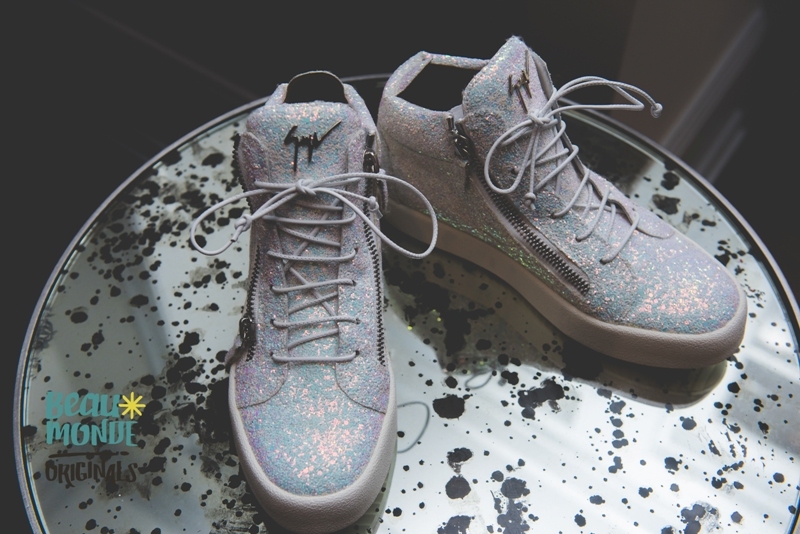 It consisted of orange, yellow, purples and greens to create that perfect fall feel. 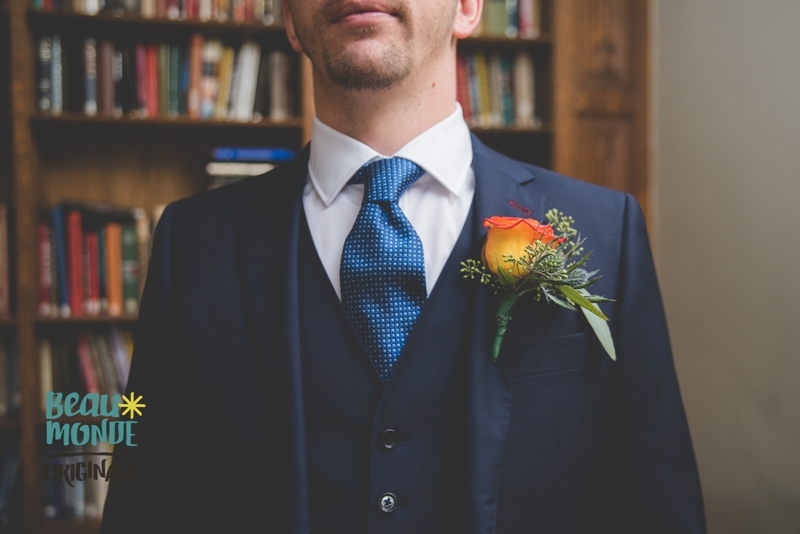 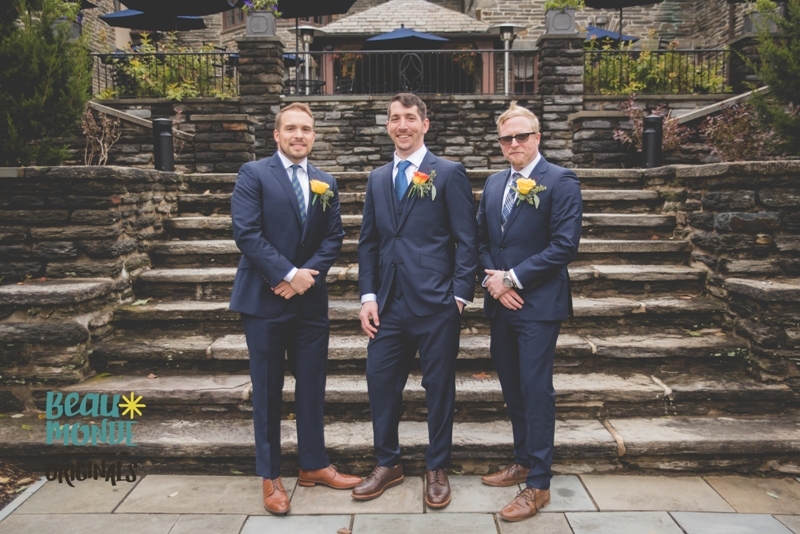 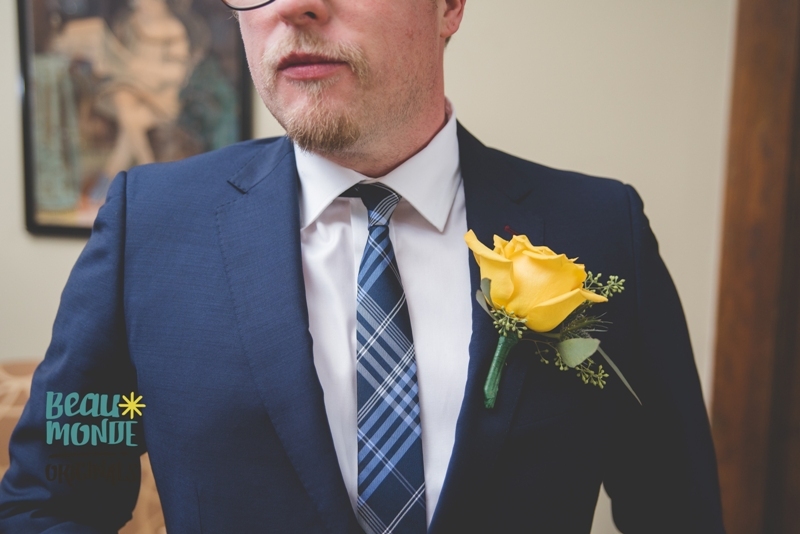 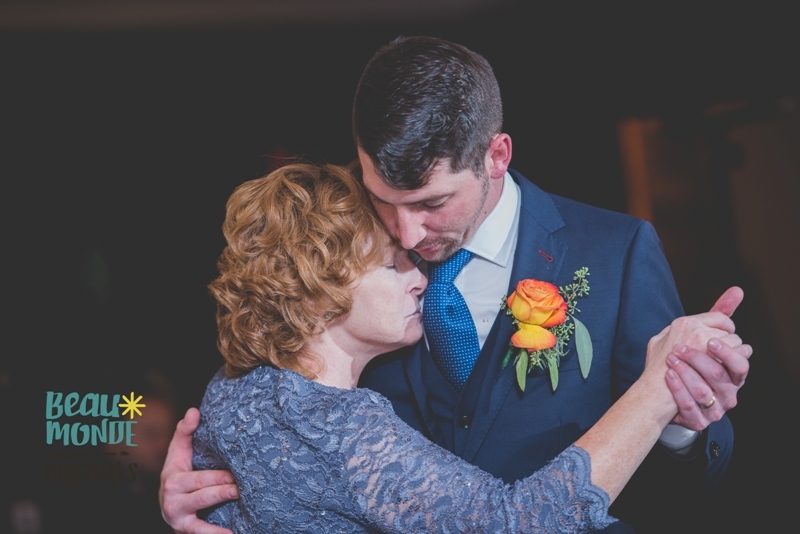 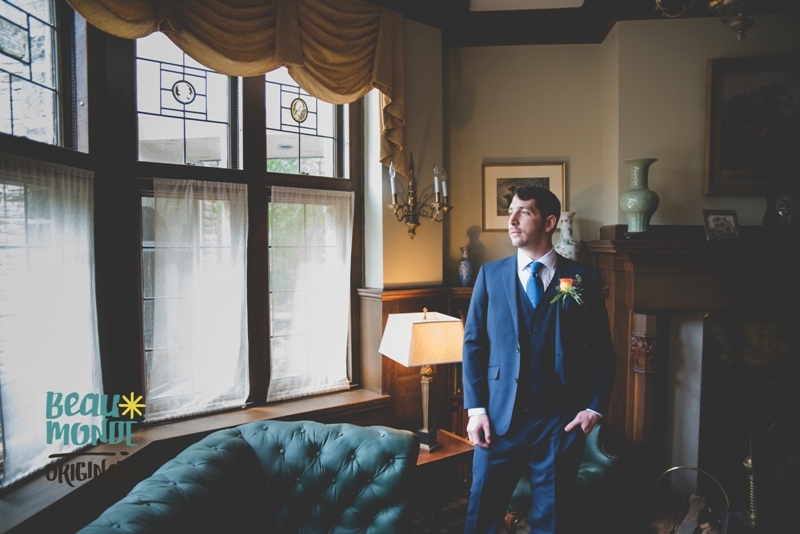 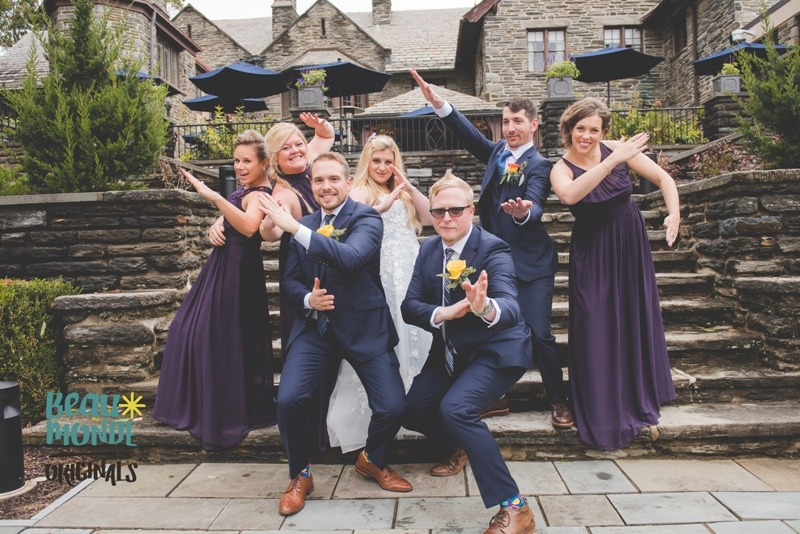 The groom and groomsmen wore vibrant orange and yellow boutonnières. 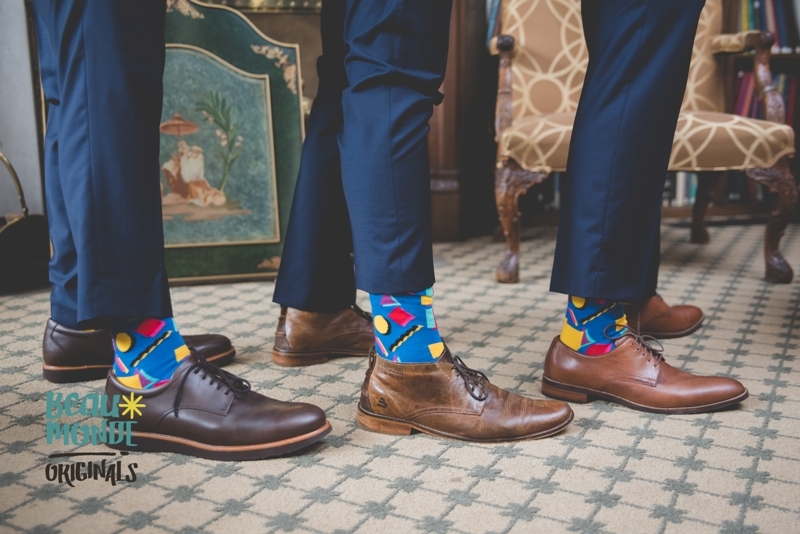 Other wedding attire we truly enjoyed were the colorful socks the groomsmen wore, as well as the custom, sparkly high top tennis shoes for the bride. 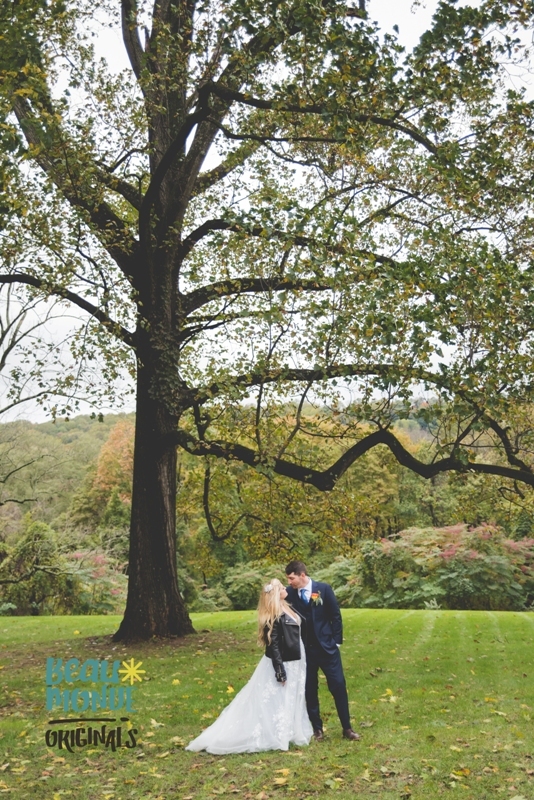 After the ceremony, Andrea and John headed to their reception at The Inn at Villanova University in Radnor, PA. 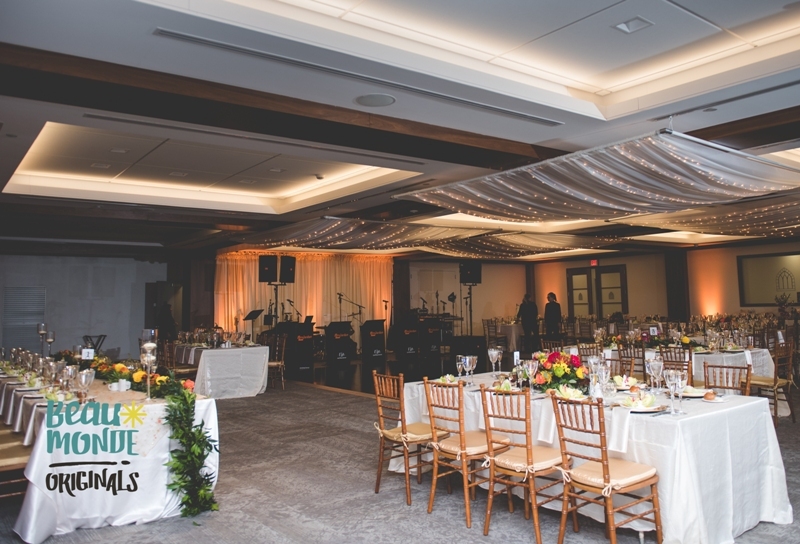 It was a beautiful hall that was filled with long rectangle guest tables and wood bamboo chiavari chairs. 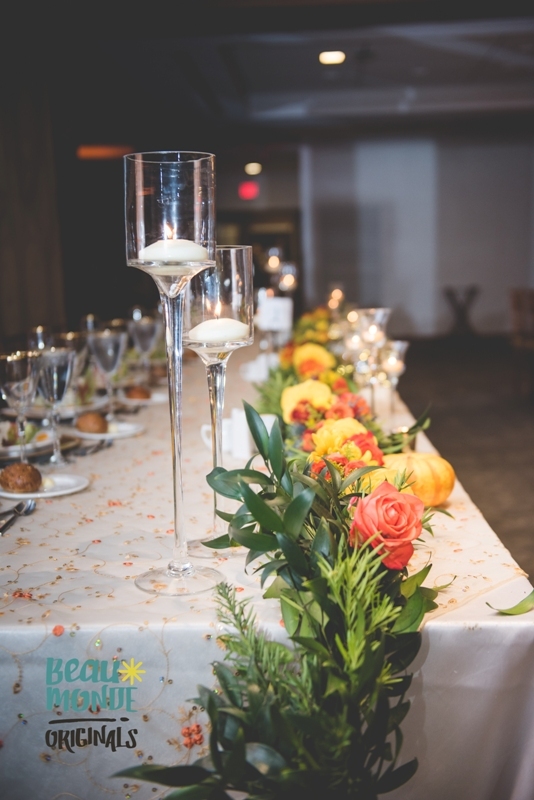 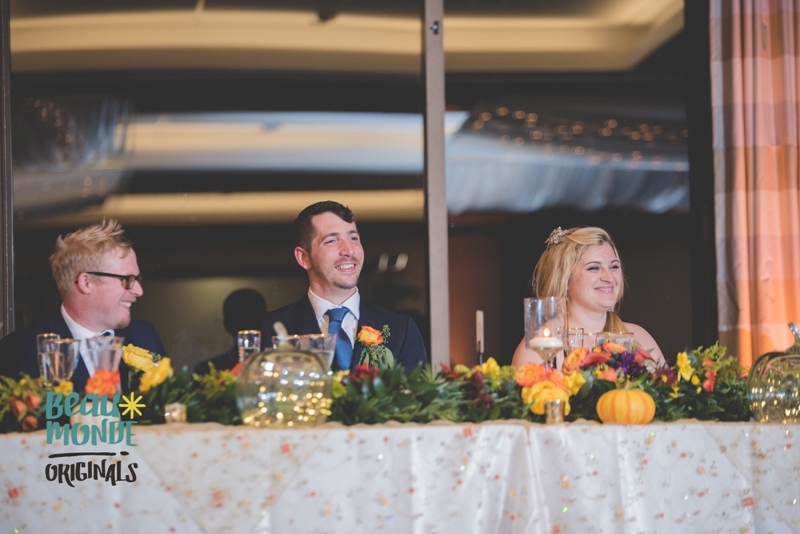 The head table was decorated with a beautiful floral runner while the guest tables had a large sitting centerpiece to match the bridal parties bouquets. 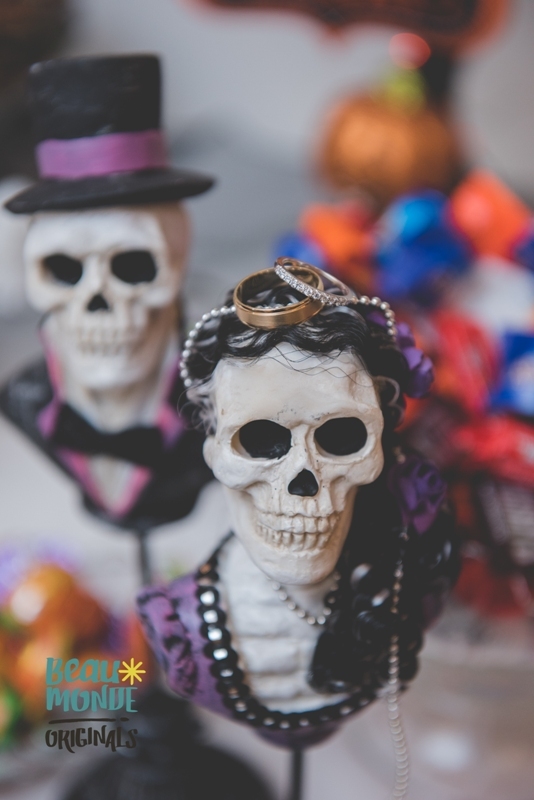 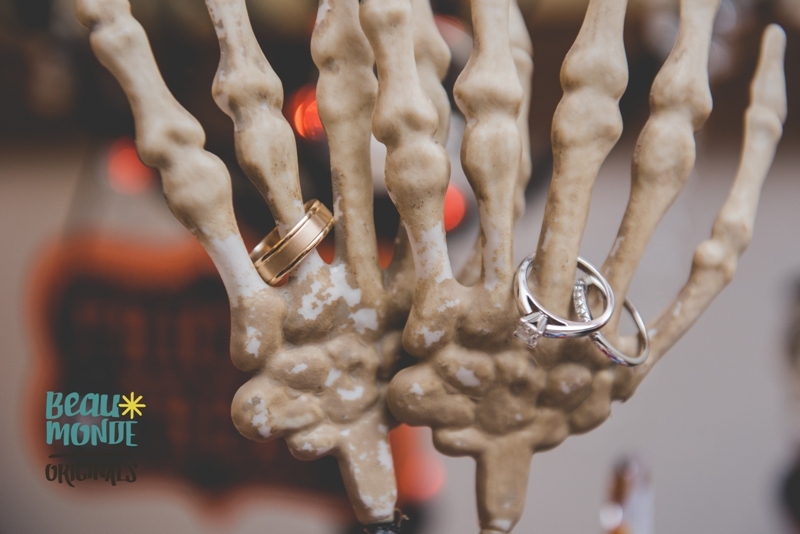 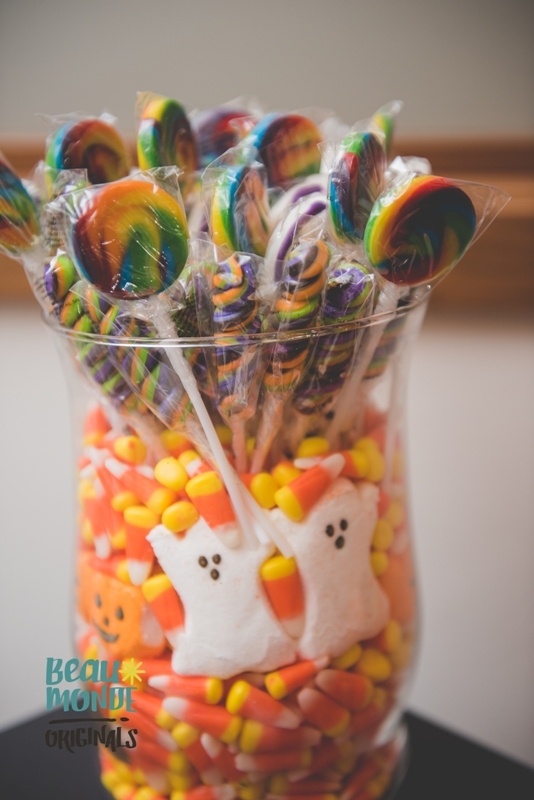 To add to that “Fall/Halloween” theme the bride included decorative pumpkins, skeletons and lots of Halloween candy for guests to enjoy. 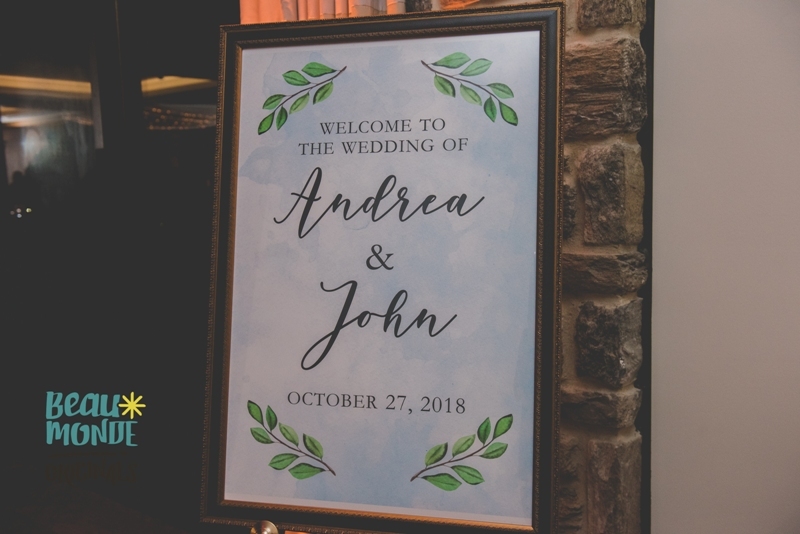 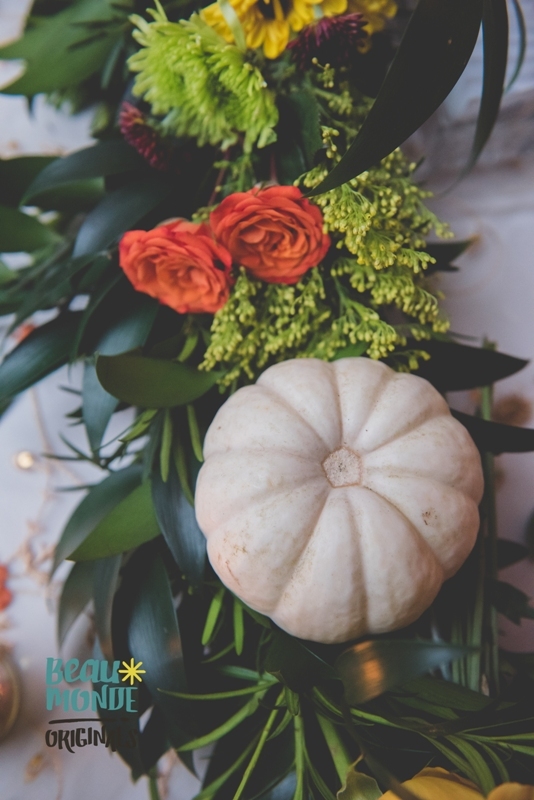 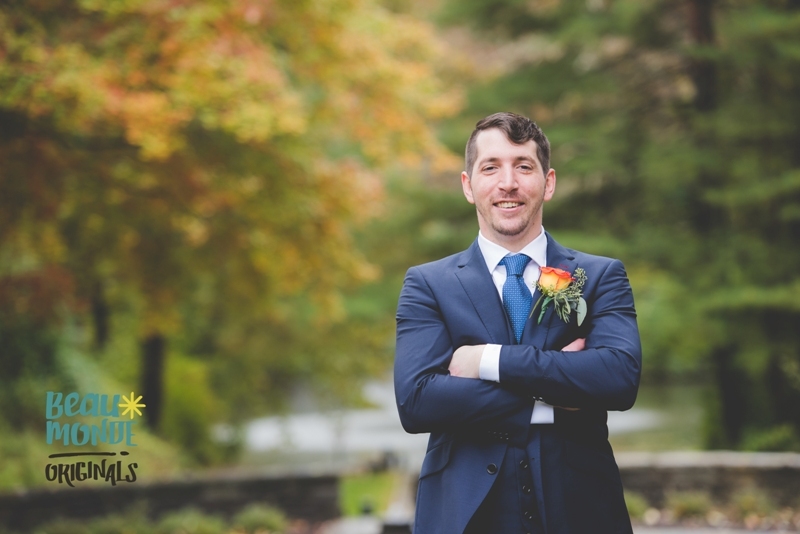 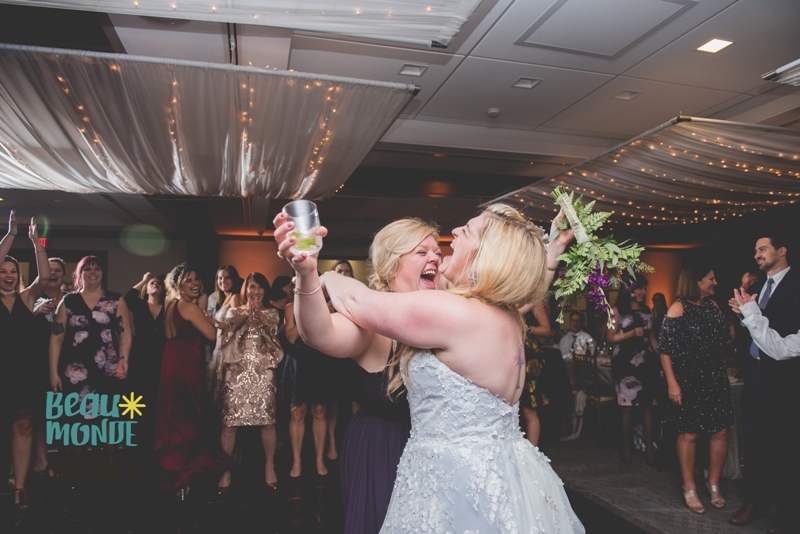 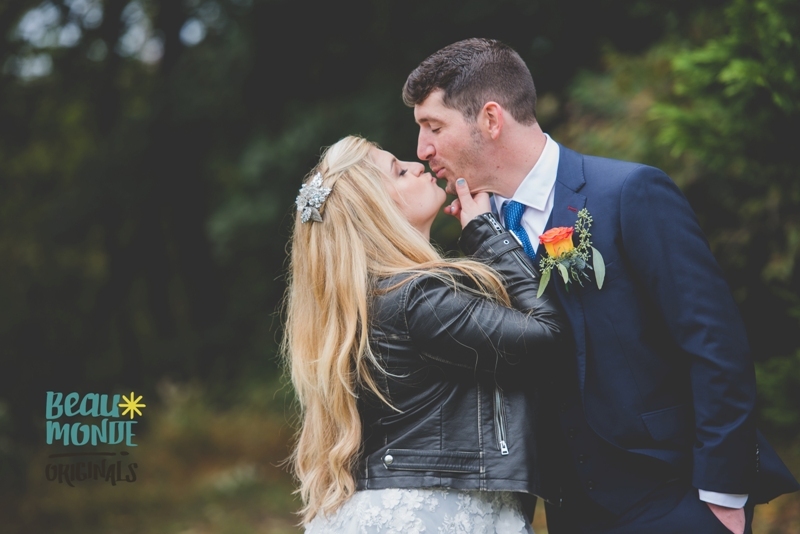 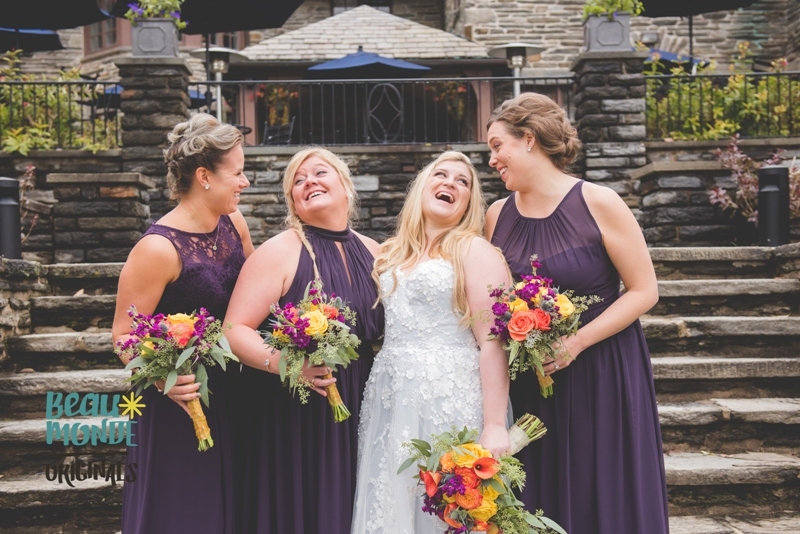 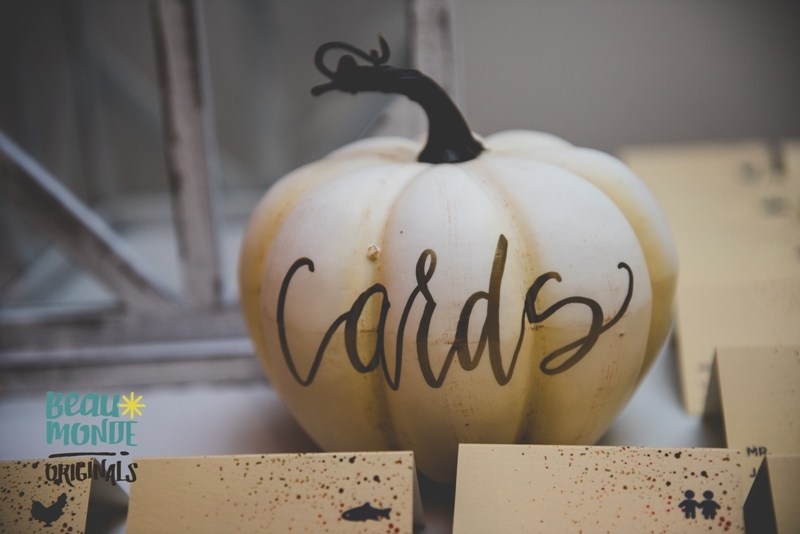 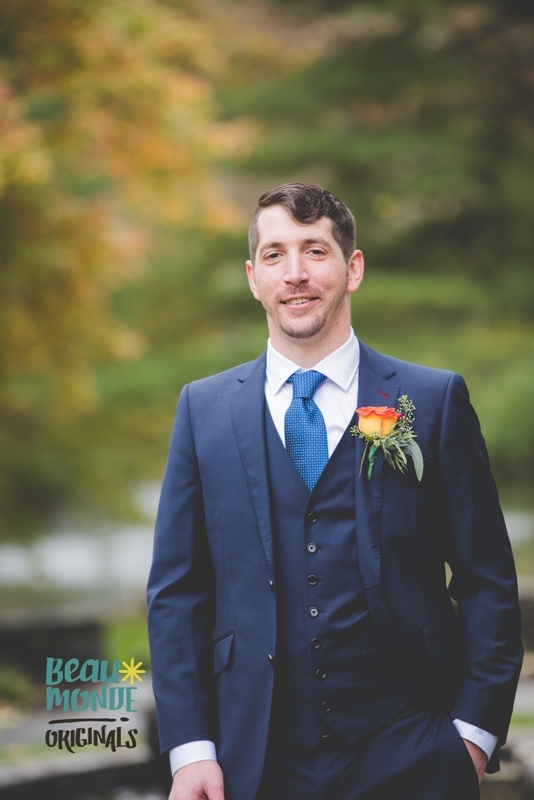 Overall Andrea and John’s wedding was the perfect mix between a fun and elegant fall themed wedding. 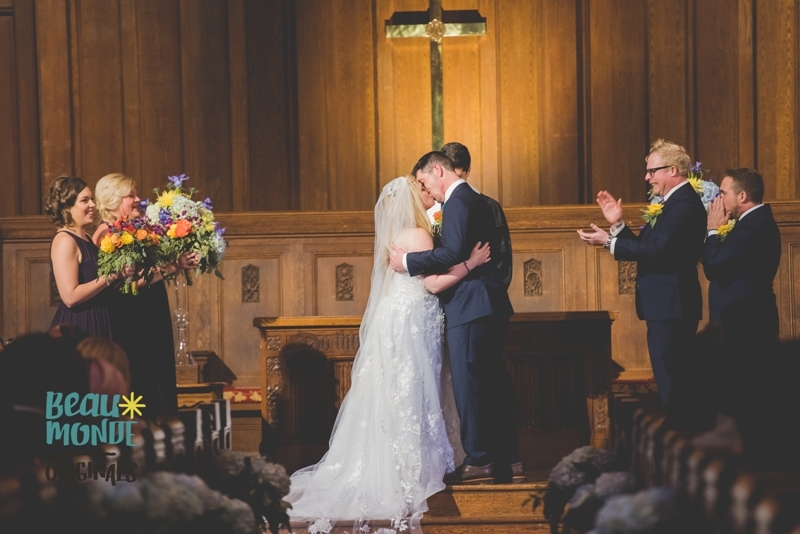 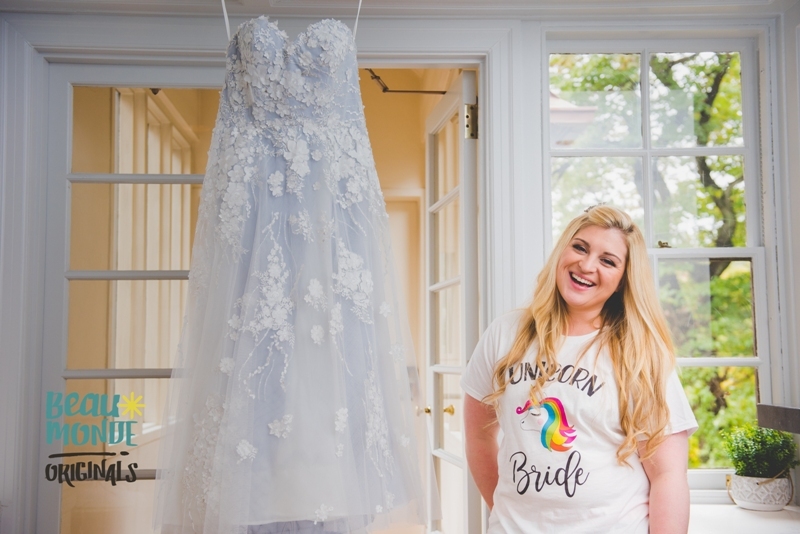 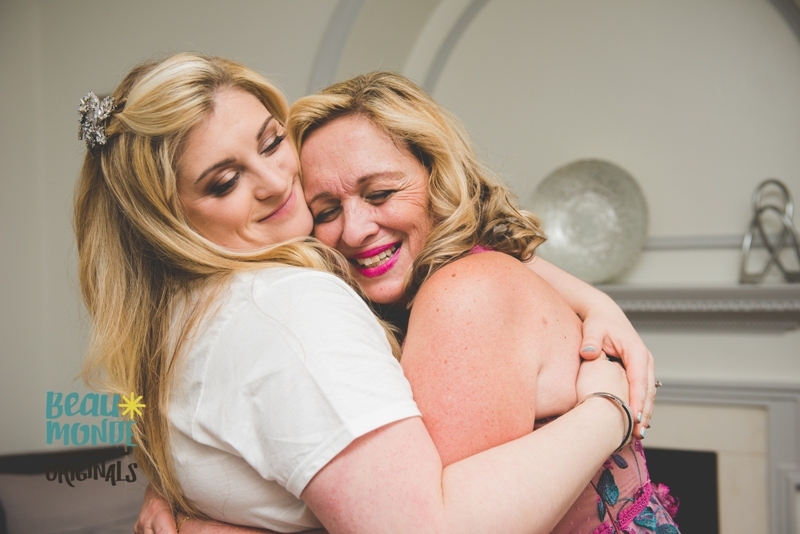 We loved being apart of their big day and wish them the absolute best in their marriage. 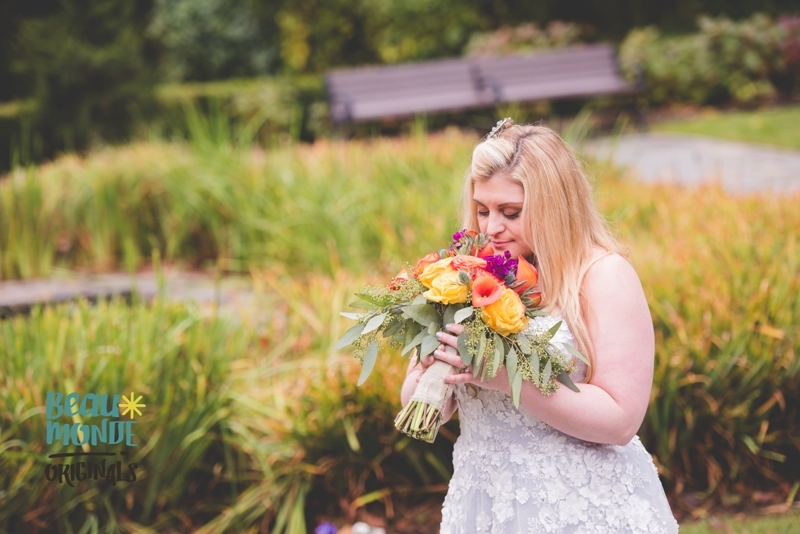 Photography by Beau Monde Originals (www.beaumondeoriginals.com) and floral by yours truly @eleganteventsflorist.